For those who have visited the lowest point on the face of the earth, Ezekiel’s end-of-days prophecy of the Dead Sea coming to life seems impossible, yet recently, scientists have been shocked to discover that the sinkholes appearing around the sea are quickly filling up with fish and other forms of life previously unseen in the inhospitable region. Known as the Dead Sea in English because of its hypersaline environment (37% salinity – almost ten times saltier than the ocean) and scarcity of aquatic life, Israeli photojournalist Noam Bedein of the Dead Sea Revival Project says that the term Dead Sea – “a political term used mostly by the Romans” – is a misnomer. Bedein has witnessed fish in Dead Sea sinkholes, microorganisms, growing vegetation and millions of visitors each year who come seeking life through the body of water’s high oxygen levels and special minerals. Indeed, the existence of fish in the Dead Sea, a reality that seems to contradict the laws of nature, has been explained by science and Biblical prophecy alike. On the shores of the Dead Sea – more than 400 meters below sea level – are freshwater sinkholes, created as a result of dropping water levels. These large sinkholes were discovered in 2011, carpeted with microorganisms and on the sea’s shores – fish and algae. 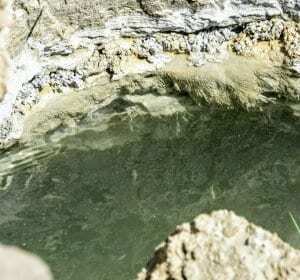 “As a result of these sinkholes, we see habitats with less than 1.5% salinity – water you could drink – surrounded by salt water as well as minerals like bromium, magnesium, and potassium,” he told Breaking Israel News. But this is no scientific miracle, said Bedein – it’s Biblical prophecy coming to fruition. “Coming to the Dead Sea, the lowest point on earth, you see prophecy coming true,” he said. “A place that was once cursed in Biblical times, now you can come here to the Dead Sea, explore the sinkholes and see fish where the water has receded – fulfilling prophecies from Ezekiel who talked about the land flourishing and blooming when the Jews return,” said Bedein. “The curse is over, and this place and its minerals are now bringing life to people around the world,” he added. Others who have witnessed life in the Dead Sea have similarly pointed to prophecy. In 2016, a Breaking Israel News story about signs of the Dead Sea coming to life went viral, garnering more than a quarter million views. At the time, the presence of fish and other wildlife in the brackish waters of the sinkholes surrounding the Dead Sea went largely unnoticed by the scientific community. 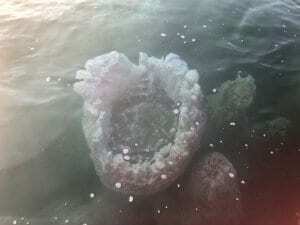 The phenomenon was brought to the public’s attention by a remarkable young Jewish immigrant to Israel named Samantha Siegel who visited the isolated location to meditate. Siegel is still connected to the site and continues to see prophecy unfolding in the brackish waters surrounding the Dead Sea. Siegel’s spirituality is rooted in nature and for her, the Dead Sea is the most powerful example of God’s revelation. “The Dead Sea is an opening into the earth,” she said. “It is like Momma Earth breaking water before giving birth. It looks so harsh right now but that is just heaven being coated with a little bit of hell. When Moshiach comes and the goodness of creation comes out, it will be pure heaven. If you have the eyes to see it, you can see it happening already,” she said. “The next generation is not going to be able to enjoy the Dead Sea as we know it today – over 1 billion people around the world are using the Dead Sea’s 24 minerals for their therapeutic effects,” he told Breaking Israel News. 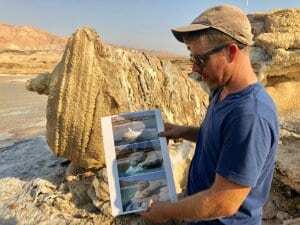 Over the past two years, Noam has been documenting Dead Sea’s changes and geological phenomena. His sunrise Dead Sea boat tours of the northern part of the lowest point on earth aim to educate guests about the changes the sea is undergoing as a result of water diversion from the Jordan River and Sea of Galilee (Kinneret) for agricultural purposes and evaporation caused by the Dead Sea mineral works. Also focused on the magnificent, prophetic and endangered Dead Sea – and the healing that is necessary – Ben Zaken poses that many questions remain, such as how much and which type of water can be added to the Dead Sea without ecological damage in order to keep it as a life source for generations to come. “The problem is not what evaporates, but what doesn’t enter,” said Ben Zaken. “To save the Dead Sea we need to fill in the Sea of Galilee, the source of water that is already in a state of ecological disaster. If we do nothing, we will have 80 years, until an ecological disaster – a point of no return – where the sea drops, minerals will crystalize but not sink and oxygen in the air will be blocked,” he maintained. Efforts toward solutions include the ‘Red-Dead’ canal, a desalination pipeline from Aqaba, Jordan and desalination plant in the Gulf of Eilat that would give water to Jordan – an idea discussed as a part of peace agreements that was supposed to be actualized nine months ago, but has yet to start because of political complications. “We need to fill in the Galilee to the upper level, open the dam, let water flow in the Jordan River, which will fill the Dead Sea – without Jordan cutting off the supply. Lack of circulation means fish will die in Galilee,” said Ben Zaken. Bedein is no novice in rising to the challenges facing the Jewish people in their Biblical homeland. As director of the Sderot Media Center, Bedein has spent years speaking about the experience of the southern Israeli community of Sderot that is under constant threat of Hamas terrorism. Now, he’s using the Dead Sea’s story, water treasures and beautiful complexities to inspire the next generation about Israel, hoping that it may also be a solution toward restoring the historical flow of the Dead Sea. Eliana Rudee is a reporter for Breaking Israel News and a freelance writer based in Jerusalem. 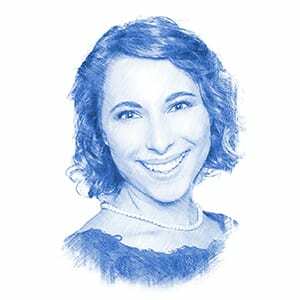 Eliana studied politics, International Relations, and Jewish Studies and has since focused her interests on topics related to global Jewish life, American Jewry, counter-terrrorism, Israeli entrepreneurship and innovation, Israeli culture, and minority rights in Israel. Among many other news outlets and blogs, her bylines have been featured in Forbes, USA Today, New York Daily News, the Culture Trip, and The Hill.